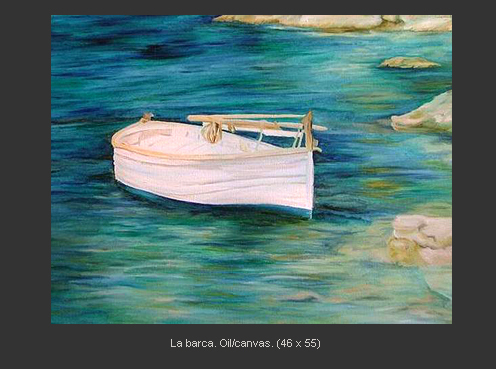 I was born in Barcelona, close to Mediterrani Sea. 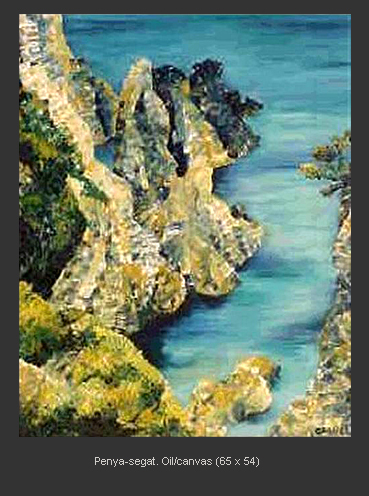 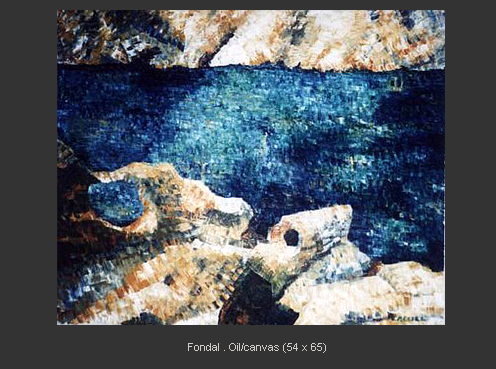 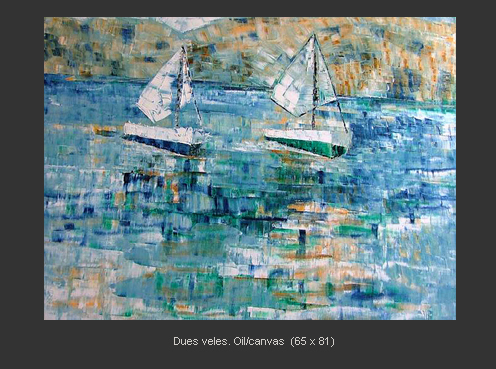 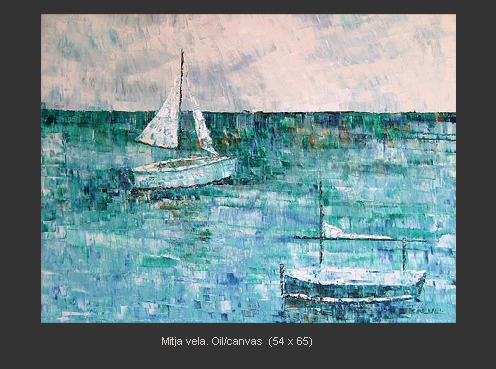 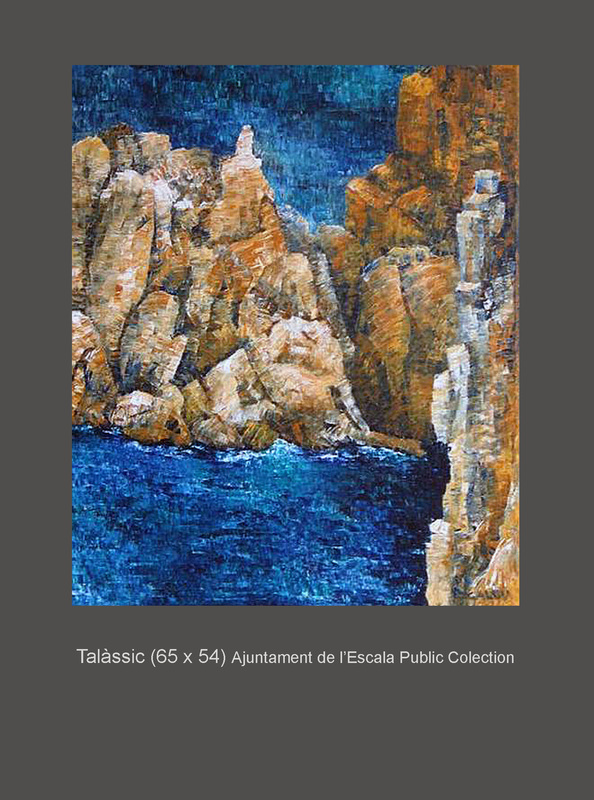 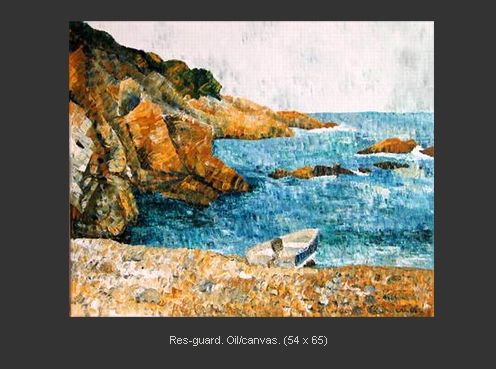 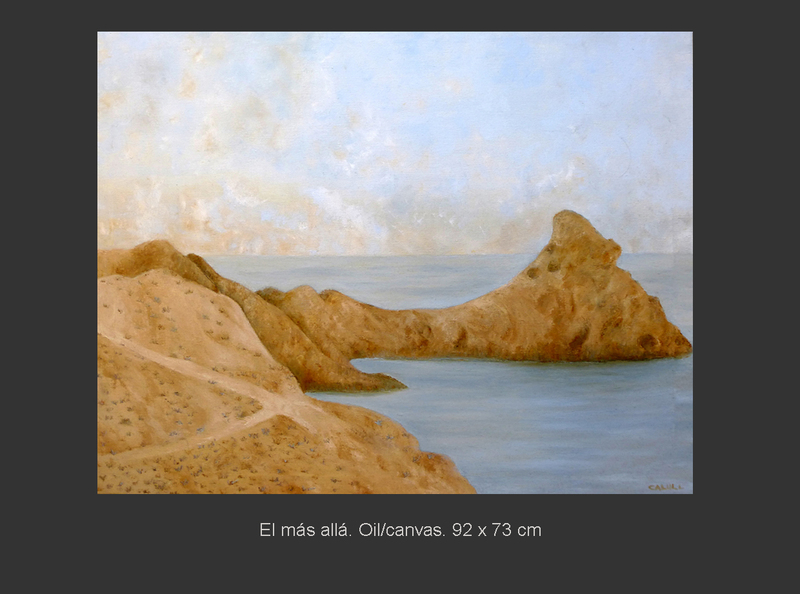 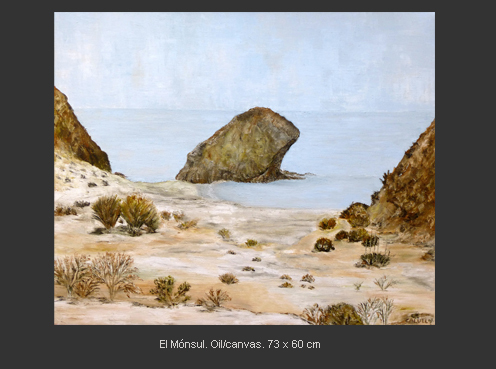 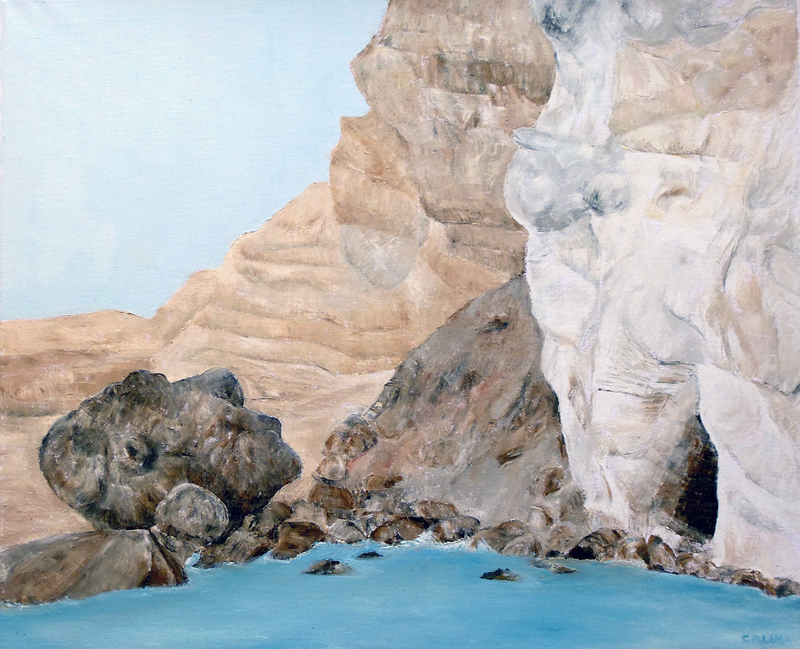 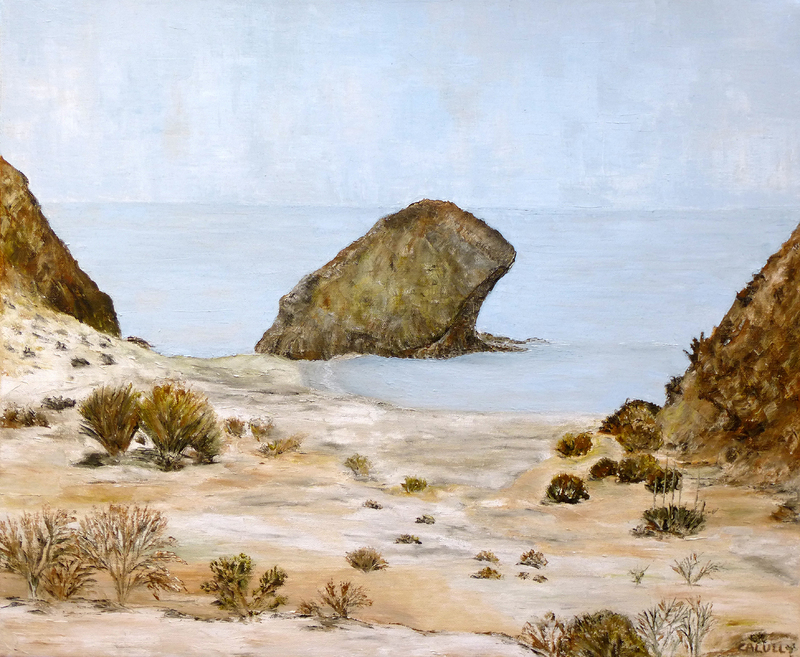 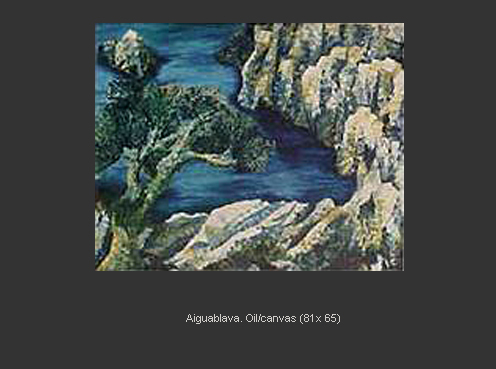 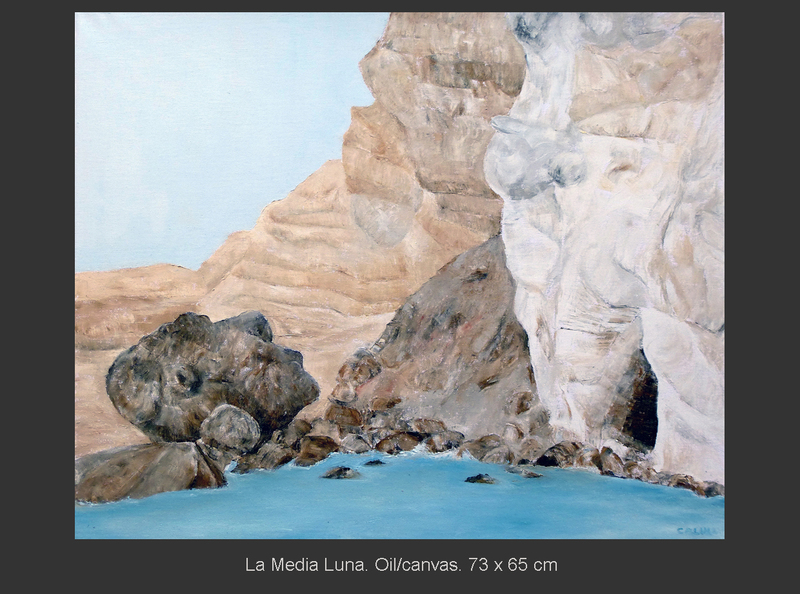 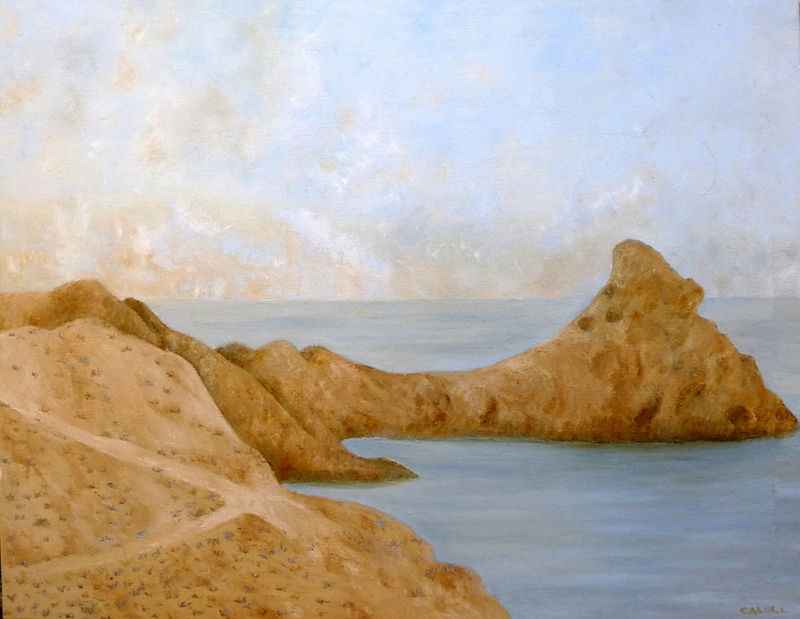 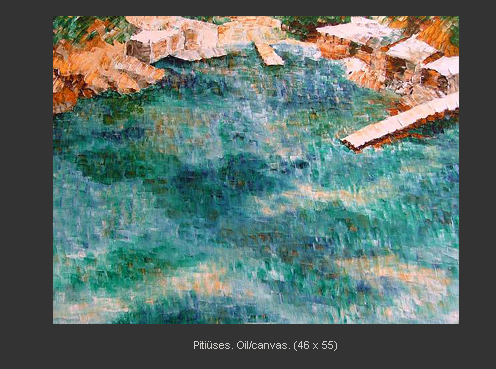 Most of paintings are from Costa Brava, I added Balears and Cabo de Gata lately. 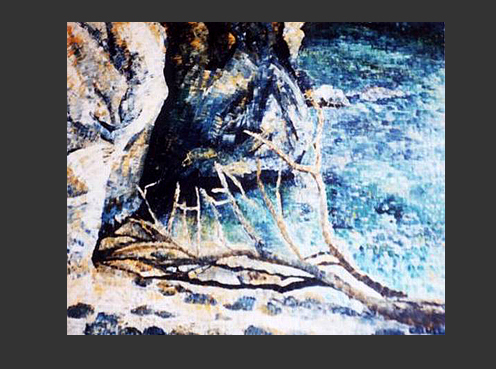 At first, human don't take part of the scenary, they aren't present, there aren't any print. 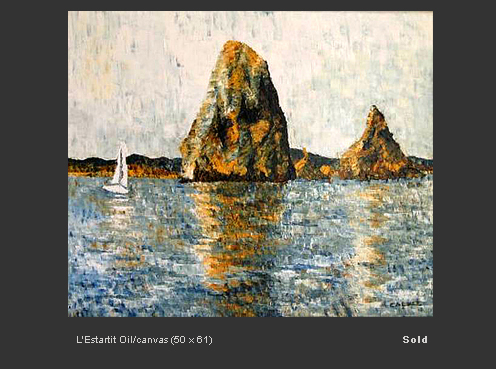 Human will be only the contribution of spectators by their look, ones that always looks for the calm that it don't find, the palette knife's don't let it, it lead astray, it desorient them. 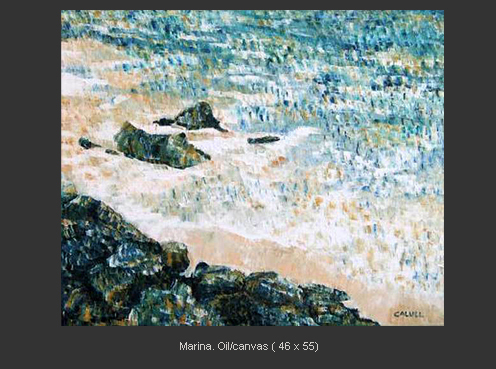 However it engages you from the deep, we could say that sea and rocks will be which go to meet who is looking. 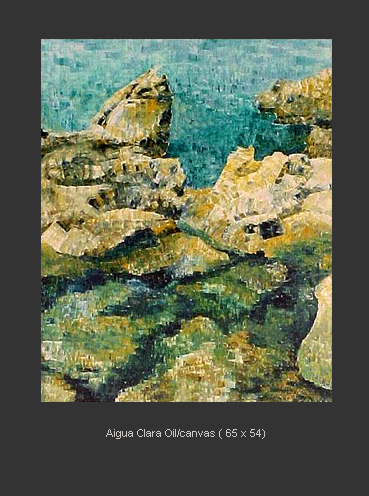 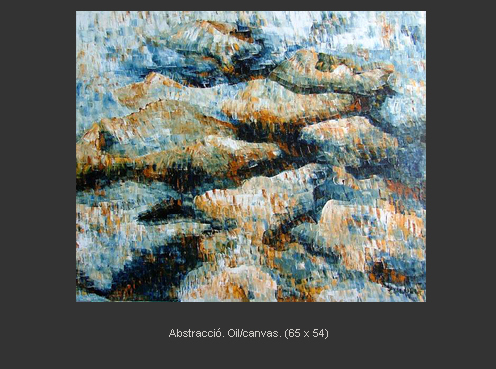 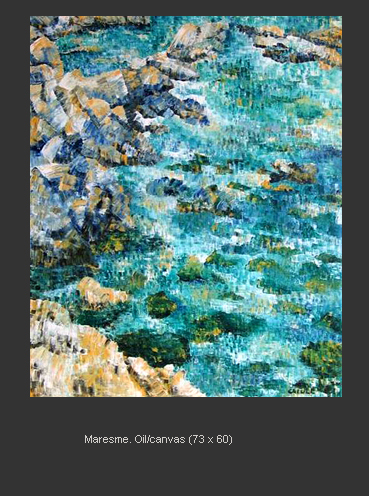 Stones, rocks and sea are mixted up whit colors and shapes, they do a working movement, a fight, a life, "to exist"; a fight between lifeless elements, between materials. 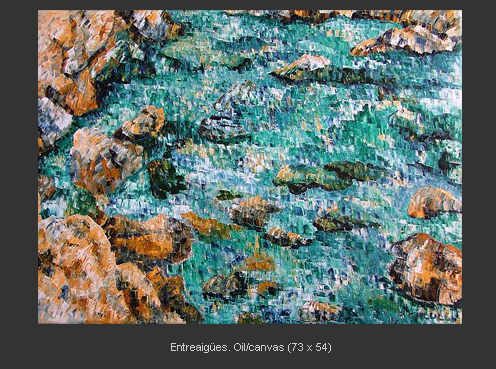 Sometimes, stones will win, the power of which is indestroctible, the contrasts, the folds, which it is hide; sometimes waters erosive passive will win, water as a reflection, as a mediator, the bright light, the swing, watery element's sound.